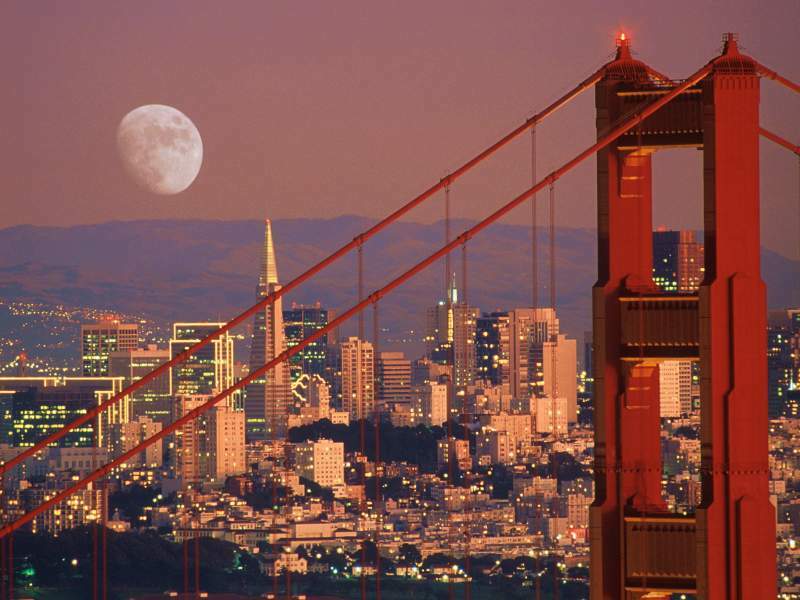 Urban legend has it that people often go missing in San Francisco. Based on police records, this purported myth doesn't entirely come out of thin air. The San Francisco Police Department's Missing Persons Unit keeps track of individuals who mysteriously vanish in the city. There are currently 988 open cases going back as far as 1976, according to Sgt. Andrea Creed, one of two investigators within the unit. "I believe we do have a lot of people who go missing here," Creed said. Most of the open cases involve adult males; only 23 percent are juveniles and 36 percent are female. "We get a significant number of cases where people tell their family, 'I'm going to San Francisco,' so those cases end up getting reported to us because that's the only link the family has," Creed said. "We also get a significant number of people who come to San Francisco because of the draw to the Golden Gate Bridge." The city saw its highest levels of disappearances in the 2000s, she said, when it became mandated to include individuals who are temporarily unaccounted for at places such as group homes for juveniles, drug treatment centers and halfway houses. The National Child Search Assistance Act requires each federal, state and local law enforcement agency to enter information about missing minors into the FBI's National Crime Information Center database within two hours of them being reported missing. Creed said her office gets a lot of false alarms because each time a person leaves a program facility without notice, it gets reported as a missing person to police, even though the majority return within a few hours, she said. "I believe the numbers are slightly skewed," Creed said. "The numbers have gone up over the years because of the way reporting happens now." Creed said police are unable to provide specific details regarding individual cases that are still open. Now Playing: How have violent crime rates changed over time in the Bay Area? Cases of persons reported missing and found relatively quickly are cleared right away and not tracked in the online system, according to Sgt. Michael Andraychak. After a person has been reported missing, officers often investigate their whereabouts by doing well-being checks or calling local hospitals to search for any unidentified patients, Andraychak said. "When we have someone at risk, that makes it a mandatory continuing search," Andraychak said. "It's not just that we take a report and file it — there's a lot of work we do." At-risk missing persons include children under the age of 12 and seniors over the age of 75, where dementia could be a concern. If a missing person is not at at risk, the case gets reviewed by a station lieutenant after 30 days and before being forwarded to the Missing Persons Unit. Since the SFPD began using its current online tracking system in 2016, there have been 4,930 missing person cases, of which 45 percent were female, 34 percent were minors and 6 percent were seniors, according to Andraychak. The Faerie Blast: An Analogue for Alien Implants? The words all share the same Germanic root. 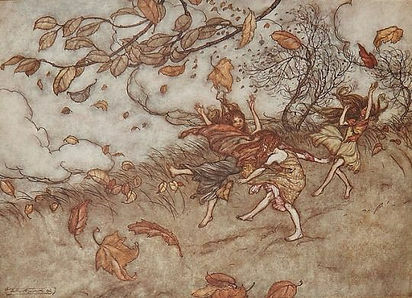 In my latest book, "Thieves in the Night," I speak at great length of the belief that faeries traveled on gusts of wind—thus, anyone walking alone would be best to avoid any storm or whirlwind encountered, for it could lead to an abduction by The Good Folk. Even if one was not swept up in the faerie wind, these “fairy blasts” could still be dangerous. Anyone unwise enough to offend the faeries might find themselves hit with these breezes, manifesting in small lesions, bumps, or blisters upon the body. This concept was, at least in some regions of Ireland (and later Newfoundland) closely associated with the notion of “elf-shot” or the “fairy stroke.” In one of his contributions to the collection The Good People: New Fairylore Essays, Peter Narváez remarks how these boils, when lanced, would produce all manner of detritus: splinters, grass, etc. In one particularly dramatic instance, an informant from Newfoundland reported a man’s leg had to be amputated from the damage. In the same publication, Barbara Rieti collected New World fairy blast accounts that allegedly produced bones, moths, teeth, rags, rusty nails, bits of porcelain, and rocks when the afflicted site was opened. The entire list, particularly the last three entries, should give Ufologists pause. I have long maintained that anything—anything—seen in the modern abduction literature is mirrored in faerie lore. (Not Ufology as a whole, mind you, solely the contact experience.) Despite this contention, two things often baffled me as to their faerie analogues: the hybridization program (which I finally at least attempted to reconcile in Thieves in the Night) and alien implants. Much has been made of alleged subdermal “implants” in Ufology over the past several decades. Typically, an alien abductee (or suspected abductee) will find a lesion or bump on the skin that strikes them as quite anomalous. After consulting a physician, these are sometimes opened up and yield what generally look like mineral deposits, often iron. Occasionally the makeup of these “implants” is anomalous upon analysis; otherwise, while very real, they appear unremarkable. To skeptics, these are simply the accretion of trace minerals or debris embedded under the skin during an unremembered accident. 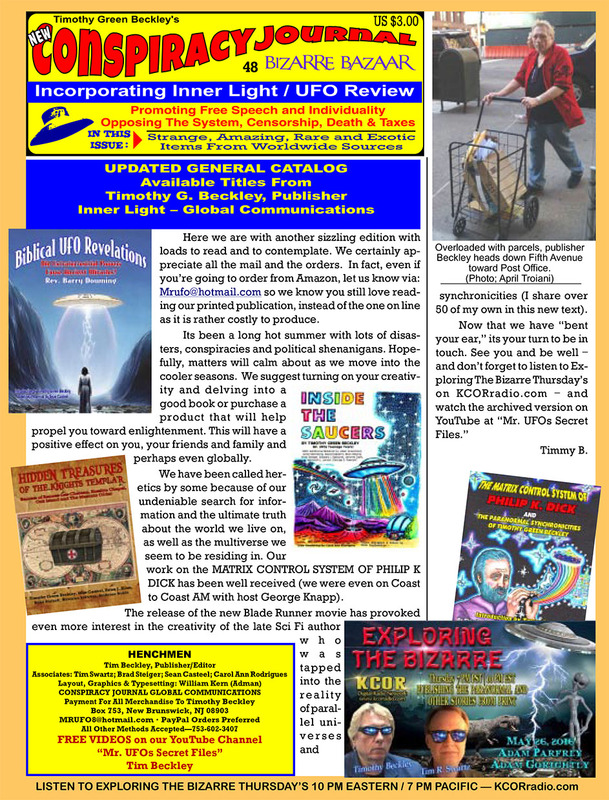 To UFO believers, they represent an advanced technology (so advanced it doesn’t even appear to be technology! ), typically used to control or track abductees. One old man told how he went up to the garden at twilight to have a last look at his surprise vegetable garden before retiring. There was a white gull sitting on his prize turnip, the largest one. He started after the bird and kicked at it. When he did the bird vanished and the man took such a pain in the leg that he could hardly get home. The leg got continually worse, swelled up and crippled the man. There was one night it was particularly sore and a huge boil seemed to rise on the leg. The man’s daughter [the informant’s wife] was there with several neighbors trying to comfort the man, who was in agony. They concluded that the boil should be “let” and proceeded to do so. As soon as the boil was pierced, a long white string came out and continued to fall in a pile to the floor. It fell of its own accord and the swelling abated as the string accumulated on the floor. The string was kept for years after as proof for unbelievers, but the man always had a crippled leg to his dying day. This interesting fairy blast variant bears a striking resemblance to an alleged condition referred to as “Morgellons.” The condition is unrecognized by medicine and thus quite controversial; however, it is generally believed to manifest in skin lesions that produce a peculiar string or fiber-like protrusion. The general medical consensus is that Morgellons is the project of a delusional individual scratching themselves, then the abrasion collecting fibers from their clothing. Perhaps the most famous self-diagnosed sufferer is singer Joni Mitchell. The objective reality of Morgellons is not as interesting as the manner in which alien abductee advocates have seized upon it as a possible symptom of extraterrestrial contact. Tim R. Swartz, along with several other individuals, actually authored a book on the connection in 2015. “In my case [Morgellons] is from direct contact from aliens and part of the genetic engineering process that we’ve all been going through as humans,” said professed experiencer Mike Davis on his YouTube channel. Davis claims to have suffered other “lumps and nodules” under his skin. Certainly, the aforementioned string-filled blister conforms to descriptions of Morgellons. With this additional data point in place, it seems almost certain that both fairy blast boils and alien implants are describing the exact same anomalous encounter. I don’t think the rural Irish peasant circa 1750 was encountering extraterrestrials and describing them as faeries. 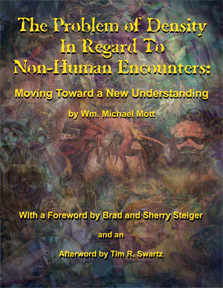 Likewise, I don’t think the modern experiencer is encountering faeries and describing them as extraterrestrials. What I do suspect is that both witnesses—separated so far both geographically and temporally—utilized the language and concepts of their culture to attempt to describe something so bizarre, so alien (in the original definition of the word), we still lack a suitable vocabulary to discuss it. One of the most mystifying puzzles of relatively recent times is that of what has become known as “The Dogman.” The creature resembles a huge wolf – but with one big difference. This creature walks on its back legs. An upright wolf? Well, yes. Or, the closest thing to it. Inevitably, parallels between the Dogman and werewolves abound. 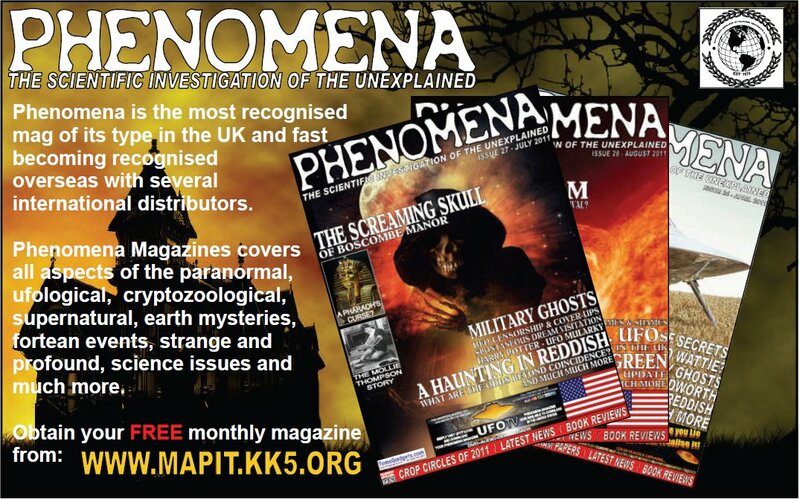 Certainly, the leading expert in this field is Linda Godfrey, who has written a number of excellent books on the subject, including Real Wolfmen and The Michigan Dogman. “There was something about her mannerisms: it wasn’t as if she was tentative or worried about anything. She just stated this in a really almost commanding way. And my friend and I looked at each other and we just said: ‘Thank you, no; we’re just filming.’ And it was like she didn’t really understand what we she said, because she said again: ‘Do you need any help? Can I help you?’ We said, ‘No, thanks,’ again. She still didn’t drive away; she looked over at the cameraman who was filming the activity and she seemed a little reluctant to leave. But, there wasn’t any great reason she could think of to justify staying. So, she finally turned and stepped on the gas kind of slowly. And that was it. For more stories about Dogman, check out Scary Stories! World War Two radio continues to pick up vintage broadcasts despite not having any power. Technicians who examined it removed the back, but found "nothing but cobwebs and spiders". Bob Sutherland, a trustee of the air station heritage centre and its treasurer, said: "I have heard it playing Glenn Miller and recognised the song as At Last. "The volume was very low but the music was quite identifiable. "Graham Phillip, another volunteer, has heard what he was sure was Winston Churchill and others, including centre curator Dan Paton and his wife, have heard it. "I was a wireless operator with the RAF and know a bit about them. We have also had our resident radio expert, Ewan Cameron, look at it. "If we had a powerful transmitter in the area the radio might pick up something, but we don't. "It is an old Pye radio which would probably explode if it was switched on." Mr Phillip said: "We have all heard the footsteps and seen door handles turn but the wireless is something new and unexplainable. "It's not just one of us who's heard it - most of us here have. We are talking about highly educated, reliable people. "My wife Aileen was with me when we heard the Glenn Miller Orchestra last weekend. She's a physicist and not predisposed to believing in things like this but no-one has an explanation. "If there was a transmitter nearby you'd think it might pick up Radio One or something, but I know what we heard. It went on for half an hour on and off. But the aerial is out anyway. "We've had the back off and the technicians said there was nothing but cobwebs and spiders." Volunteer Marie Paton, 67, whose father Jack Stoneman bought the wireless secondhand in 1962, said: "It's a bit scary. I thought someone was playing a prank on us but I heard it myself last Saturday. "It plays Glenn Miller, and that's what everyone has heard. It is very faint and you have to put your ear to it, but that's what it's playing. All the experts say it should be impossible. The wireless broadcasts join a long list of mysteries at the air station, where the heritage centre is in the original headquarters building. 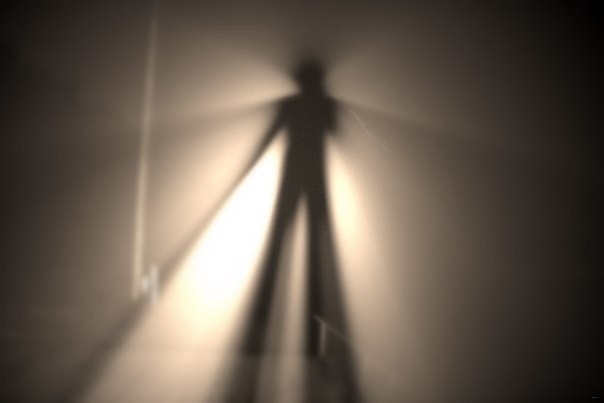 Visitors have reported strange "energies" around the airfield, phantom footsteps, doors opening and shutting, the sound of aircraft engines, shadowy figures walking in and out of rooms and even the sighting of a pilot in full flying kit. The most notorious were the sightings of Lieutenant Desmond Arthur of the Royal Flying Corps who was killed when his biplane crashed. He is said to have haunted the area until honour was satisfied in 1917, when a government inquiry concluded that he had not been killed by his own foolhardiness but because of poor repairs to his plane. Peter Davis, 65, the heritage centre's secretary, added: "It is most odd and we cannot understand it. The station has a very abnormal presence. Several paranormal groups have been in to investigate various things, but the wireless has everyone including our radio technicians stumped." Paranormal Incidents Blamed on "Fairies"
At a glance, the N22 road between Killarney and Cork looks pretty ordinary. But one small stretch of this route has become a recurring headache for the local council. More than once in recent years the road has suffered a dip at a spot on the outskirts of Killarney, near Glenflesk, and despite a bill of around £40,000 and much engineering brain-power, the problem was still vexing experts at the start of August 2017. Although some may have thought Healy-Rae had reached this solution after a few pints of Guinness , he was in fact referring to age-old reverence for peculiar fairy-haunted parts of the Irish landscape. For all the derision which Healy-Rae’s response has provoked, his views would have made good sense in Celtic fairy territory around 100 years ago. The real fairies, a very far cry from the prettified versions seen in Disney’s Tinkerbell or Cinderella's godmother, were dangerous. At very worst, they could kill you. ‘Killer fairies caused four deaths’ ran the headlines of several British dailies in November 2006. The deaths were not recent. A list of causes of death from the parish records of Lamplugh in Cumbria stated that four people had been ‘frighted to death by fairies’ in the period 1656-1663. Bizarrely enough, the claim may well have been true. Many other British people really were frightened to death by their belief in witches or ghosts, right down to the late Victorian age. A bit less drastically, fairies were the first point of blame for just about anything bad in your household or village, from sickness through to crop failure. In the early twentieth century one old man stated that fairies had caused the devastating Irish famine of 1846-7. Most of all, fairies liked to steal children. When they did, they would leave a ‘fairy changeling’ in its place. Throughout the nineteenth century a startling number of parents across Britain and Ireland ritually abused their own children so that the fairies would reverse this swap. In reality, many of the supposed changelings were suffering from inherited genetic disorders. These could make them look or behave oddly, and the fact that such conditions predominate among males of Irish or English descent supported the belief that fairies liked to steal boys in particular. Having said that, one fairy kidnap in Donegal sounded eerily real. When applying for a pension in 1909, elderly Annie McIntire could not recall her exact age, but did know one thing: as a child, she had been stolen by the fairies on Halloween, 1839. Luckily, her brother was passing, saw the elfin child-thieves dancing round Annie in the wood, and managed to rescue her by flinging a book at them. In a world where every child was raised in terror of fairies, the idea of filling your kid’s bedroom with fairy fun and magic would have been very strange indeed. No less serious was the risk of angering fairies by encroaching on their territory. Healy-Rae implied that the Killarney road problem was linked to the many fairy forts in this area, whilst Irish folklore expert Eddie Lenihan presently wondered if there was an invisible fairy path linking two fairy forts, and crossing the road at the afflicted spot. Along with forts (often Iron Age hill forts) and paths, the third danger spot was Fairy Trees. In Athlone, Westmeath in 1911, labourer John Seery vacated his cottage, erected on a fairy fort, because the site was ‘haunted by fairies’, prompting local Councillor Molloy to admit that: ‘no luck ever came out of interfering with such places’. In early 1912 another man, Kilduff, refused the council’s offer to build him a cottage over the county border in Lackan, Wicklow, because the plot had a fort on it, and ‘on no account would he interfere with “the fairies’ home”’. If fairy trees were anything to go by, these two had good reason to be afraid. In County Antrim in 1938 people still recalled the man who had recklessly cut down a fairy tree when drunk one night. Next morning he got out of bed to find that his head was facing backwards, as if in some out-take from The Exorcist. In other cases interference with fairy trees was held to be the cause of mysterious deaths. But one case especially echoes the current problems on the N22 road. Fairy saboteurs did not go away in a hurry. In late 1951 ‘workmen employed by Limerick Corporation to build 475 houses refused to clear the mound on the site because it was a fairy fort’. Echoing Healy-Rae, who has said he would rather starve than damage a fairy fort, Limerick City Mayor Matthew Macken declared: ‘if I have to get a gun to defend the fort’ from the bulldozers, ‘I will certainly do it’. Corporation overseer John McNamara claimed that ‘several members of the bulldozer crew said they saw leprechauns making shoes there’; and when replacement labourers came in and ‘built a few house gables … next morning not one of the gables was standing’. The result was that thirty of the proposed houses went unbuilt. In 1999 a fairy tree threatened by a new motorway bypass at Ennis, County Clare, was saved after warnings by Eddie Lenihan. Was he right? A few years later, in 2007, he could point to the repeated mysterious toppling of new electricity poles installed dangerously close to a fairy fort in Sooey, County Sligo. In 2015 the BBC reported on the powerful fairy thorn located on the green of Ormeau Golf Club in Belfast. Greenkeepers would not dare to so much as trim this tree, whilst golfers who struck it without apologising were plagued with bad luck for the remainder of their game. Fairy paths were no less perilous. Around 1910 elderly John Boylin recalled how, during his Kilmessan childhood in County Meath, he and other kids were subject to a Fairy Curfew each evening. A fairy procession was known to march at this time from the fort at Ringlestown, circling fairy bushes near Boylin’s house, and everyone must be safely indoors before this occurred. One man who broke the curfew was later found dead. Some time before 1895 a farmer’s family living near Mitchelstown, County Cork, moved out of a house built on a fairy track, after two of the family had died. It is very clear that fairies were made scapegoats for ordinary, though misunderstood sicknesses or deaths. But there remain a handful of fairy disturbances which look very much like genuine paranormal activity – or, in a word, poltergeists. What on earth is it that causes these sudden household outbursts, with their hammering noises and inexplicable flinging about of objects and furniture? Mind-bending as all this is, it actually does seem to happen. As recently as August 2016, two sets of police witnessed it when called into a poltergeist house at Rutherglen in Glasgow. Faced with something as crazy as a poltergeist, fairies are as good an explanation as any (and arguably better than no explanation at all). And so, when a Northern Ireland farmhouse was attacked by poltergeists in 1907, locals held that ‘fairies caused the problem, as the farmer had swept his chimney with a bough of holly’ – and the holly was, as any fool knew… a fairy tree. In Portarlington, Queen’s County, a man spent £500 building his new house on ‘what was reputed to be a fairy path’. On his very first night inside, ‘strange noises were made; chairs, beds, and dishes began to move, at first gently, then with more violence, until at the end of an hour everything was smashed and the man himself was very seriously hurt’. The man lost all his savings when he abandoned the house, which was still empty in 1915. One particular nuisance of fairy paths was that, unlike well-known trees and forts, they were not always spotted until it was too late. Some time before 1959, Paddy Baine and his bride, Biddy Callan, moved into a new house near the Ox Mountains in County Sligo. Presently (wrote Diarmuid Macmanus), ‘they began to experience very frequent disturbances at one end of it which abutted on the little village road. Some nights it appeared as if the whole house was about to tumble down’. A local wisewoman explained that one corner of the house was blocking a fairy path. Paddy had a stonemason cut off the offending corner, and the problems apparently ceased. The researcher Paul Devereux confirms that many houses in the West of Ireland were modified for this kind of reason. It may just have been a happy coincidence that Baine’s poltergeist went quiet after the corner of the house was sliced off. Some such incidents stop for no obvious reason after a few days or even hours. But there is also a lot of evidence to show that poltergeist outbreaks feed on fear and stress. If this negative energy can be banished, the problems can stop. So – in some cases people had good reason to be afraid of the supernatural; and appeasing the fairies could also be genuinely useful. Marion town officials say the proclamation is largely ceremonial, but serves as acknowledgment that elements of the community believe the mythical animal actually exists. Mayor Stephen Little admits in the fine print that he’s never actually seen a Bigfoot, but he says anyone coming to Marion might see one. The proclamation takes effect Sept. 8, the same day Marion is hosting a Bigfoot festival that intends to assemble an abundance of documentation “proving” the creature’s existence. Including eyewitness accounts, videos of sightings and audio of Bigfoot sounds, festival officials said. Experts say belief in Bigfoot is based mostly on circumstantial evidence, including eyewitness sightings, blurred photographs and mysterious large footprints. Scientists say many of the witnesses mistook other animals for a Bigfoot, LiveScience says. Among those who are convinced Bigfoot is out there is John Bruner, who is both a reported Bigfoot witness and the founder of the research group called Bigfoot 911. His group is the driving force behind the upcoming festival. Bruner told The Charlotte Observer he pitched the idea of naming Bigfoot as Marion’s official animal after seeing the town of Whitehall, New York, did something similar in July. Whitehall also claims to have had Bigfoot sightings. He believes the proclamation validates the ongoing research his group does, while also showing support for the upcoming festival. The event will take up three city blocks and include everything from Bigfoot art to a Bigfoot calling contest. Bigfoot 911 is a volunteer group based in McDowell County that investigates Bigfoot sightings in Western North Carolina. 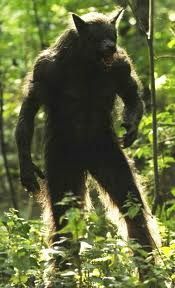 Bruner was out with the group last August when he says he spotted a Bigfoot in a forested area, shortly before midnight. He described it as a large creature “covered in hair.” It began running, and Bruner said he took off after it, prompting a brief stare-down by a tree. It then began running again, Bruner said. His reported sighting got national attention, and one “shaman” from Minnesota later said he was in the area at the same time, dressed in animal skins, and might have been mistaken for Bigfoot. However, his account didn’t quite match up with Bruner’s.